Reecer Creek is a rural area stretching about 6-7 miles north out of Ellensburg to Smithson Road. Perfect for residents who want space for a farm or animals, most of the homes for sale in Reecer Creek reflect the country atmosphere in recently built farm homes. A planned neighborhood with new construction, traditional-style homes are also part of the Reecer Creek community for those homebuyers who desire family-friendly cul-de-sac streets. 3 Beds | 1 Baths | 1668 sq. Ft.
3 Beds | 2 Baths | 1945 sq. Ft.
4 Beds | 2.5 Baths | 2394 sq. Ft.
4 Beds | 2.75 Baths | 2928 sq. Ft.
2 Beds | 3.25 Baths | 4190 sq. Ft.
Great recreational piece of property. Elk, deer and birds on this land. Close to National Forest. 3 Beds | 1 Baths | 1101 sq. Ft.
Blue Summit Realty has the most accurate and up to date Reecer Creek real estate listings on the web. Currently there are 7 homes for sale, and 8 vacant land properties in Reecer Creek. Of the 15 total Reecer Creek residential listings for sale 0 are bank owned, 0 are short sales, 0 are new construction, and 0 are townhomes. The price ranges from $239,900 to $0 with a median list price of $414,650 and median sold price of $320,857. Make sure to refine your Reecer Creek real estate search by property type, price, square footage, bedrooms, bathrooms and more with the search tool above or view the Reecer Creek listings on our interactive map. 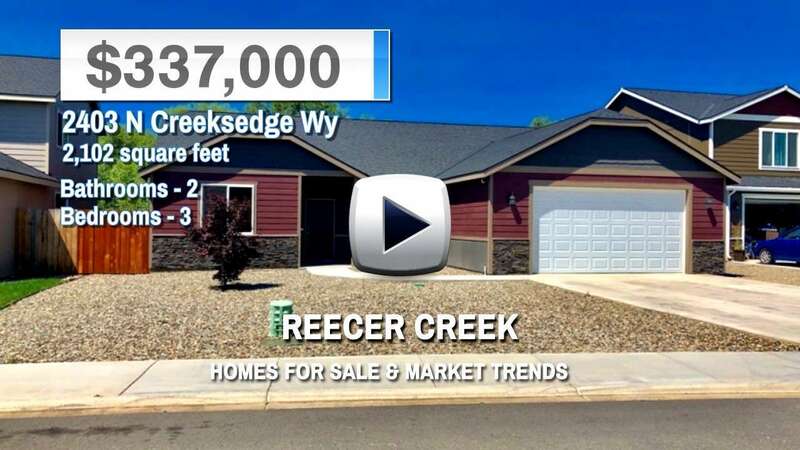 Our Reecer Creek real estate listings were updated 26 minutes ago.